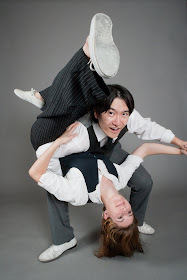 Howard and Gayl have been spreading the love of Lindy Hop, Charleston, and Balboa since 2005. They are known for their playful style, choreography, and versatility. Recently, they have been causing shenanigans by traveling to various events, competing, and meeting awesome people. There are even some shiny metals to prove it! They(or rather Gayl) delight(s) in writing ridiculous and nerdy class descriptions. Howard is known for his DJing skills. Together, they strive to mix humor, random vocalizations, and general silliness with serious dance technique in their classes to help you become the best dancer you can be.